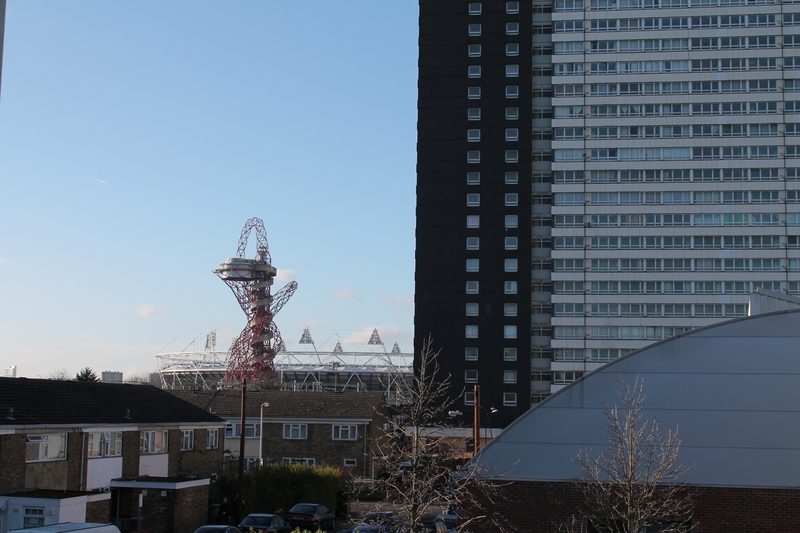 London’s 2012 Olympic Games housing legacy is undeniable. It is a legacy of evictions, displacement, gentrification and social cleansing. The ever-worsening housing crisis has become a money-spinning ballast as collusion with property developers yields state-led displacement on a grand scale. In the district of Newham, where Londoners are paying rent to live in sheds, displacement is rampant and the affordable housing shortage is about to worsen. At the Carpenters Estate, home to hundreds of families, residents are now being served notice by Newham Council to make way for University College London’s £1bn University campus expansion. After having their fees trebled in 2011, students will now continue accumulating debt while funding the real-estate financing schemes of UCL management. Student resistance, joined with the tenants of Carpenters Estate, has been persistent and militant, with public demonstrations, a recent exhibition at UCL’s Print Room Cafe, student tours of the estate, and an occupation at UCL’s Bloomsbury campus. London’s housing crisis is by no means limited to Carpenters Estate. This past week it was revealed that Southwark Council accidentally published details of its controversial agreement with major Australia-based property giant Lend Lease concerning the £1.5bn regeneration of the Heygate estate. Heygate, a site that once housed hundreds of units of social housing, will be replaced with 79 units of social housing, with 2,456 new homes going onto the private market. The council sold the property for “peanuts,” barely recovering the cost of displacing the tenants to other housing. Pre-Olympic promises of jobs, homes, and community have been proven empty and false, shipwrecked on the shores of profit and urban regeneration. Renters in the private housing market, priced out by London’s “yuppiedrome rentiers,” are now equally vulnerable in public housing. State and developer led projects of gentrification are expecting a slower year ahead but show no signs of loosening their grip on the lives of the propertyless. As the crisis moves from Carpenters to Heygate, it quickly becomes clear that the problem is not specific to any area of London, and in fact not specific to London at all. Urban regeneration is closer to a global urban strategy, to quote Jeff Derksen and Neil Smith; it is an international class project, replicated through the speculative land deals of global finance and lubricated by mega-events like the Olympic Games. 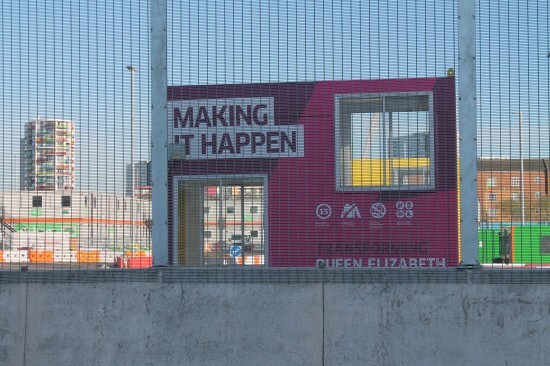 London’s Games were preceded by the Winter Olympics in Vancouver, where unchecked speculation, rent-gouging and state-led evictions produced the same predictable effects. Vancouver’s Olympic Village is a case study of broken Olympic promises, where athlete’s housing was falsely promised as a post-Games affordable housing legacy. Soon after the TV crews left the city, the Olympic Village units were shuffled onto the private market, forever lost to the highest bidder. London’s Olympic Village project has been no different than Vancouver’s, resulting in a massive state subsidy of at least £275m to private capital. Addressing Vancouver’s experience in the wake of Winter Games, Jules Boykoff writes: “The athlete’s living quarters were supposed to be the crown jewel of the social sustainability promise, but the city prioritized market rental units instead. The building of the Olympic Village has been described as ‘an aluminun-clad symbol of spatial injustice.’” Less glitzy sell-offs, like the conversion of long-standing residences for residents on Vancouver’s Downtown Eastside, have brought displacement and higher rents. Burns Block and the American Hotel, among others, have been evicted to make way for upscale development, while public housing projects have either been destroyed — like Little Mountain, home to 600 residents — or are being slated for demolition, like Heather Place in central Vancouver. Shared snapshots from London and Vancouver reveal the increasingly plain fact that the arrogance of profit knows no limits. From Vancouver to London, the established powers of state and capital can only be put in check by the resistance of the people, propertyless but powerful. Posted in Gentrification, Housing, Olympic Village. Bookmark the permalink. We have to stop this, it is insane to keep reducing affordable housing stock in our cities. There is a point when people will not be able to afford to work, as in they will stay home, grow food and give the finger to the man while making goods to sell for their needed income. This is what I discovered some years ago: that buying clothes for work, paying for travel costs, paying income tax actually meant I was worse off unless I made double the money I was making. It costs the same amount to work whatever one earns. There are a lot of people living in the boonies of BC surviving quite nicely making less.They get medical and pharmaceutical paid for, eat fresh grown food and best of all spend time with family and friends. In the Vancouver Summer we all wonder who’s working because the streets and beaches are busy!